Probably our most versatile top, the Deep V is made for just about any activity. First, it’s the best women’s undershirt. But you can pair with denim for an everyday tee, layer under a button up or sweater, throw on a blazer for date night or wear to bed for a cozy night of sleep. The combination of our ultra-soft bamboo viscose with the perfect cut allows the Deep V to move with you, without feeling compressive or clingy. You may never want to wear cotton again. Our V can be worn as an undershirt or as a top. 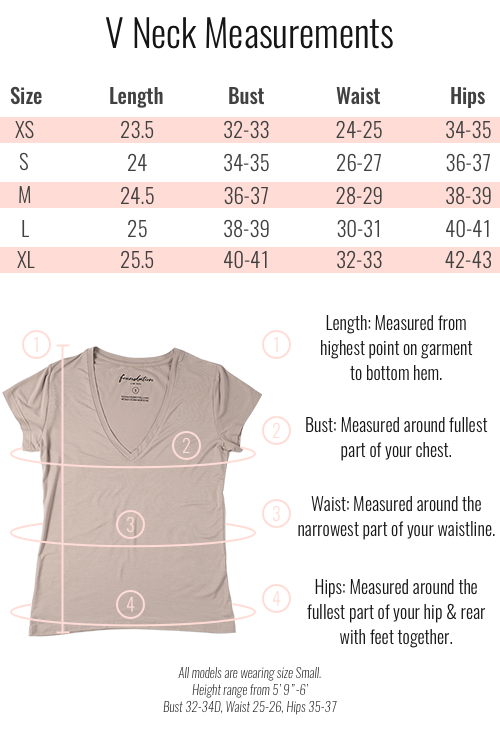 It's contoured at the waist and hips to provide the perfect fit across a broad range of body types.